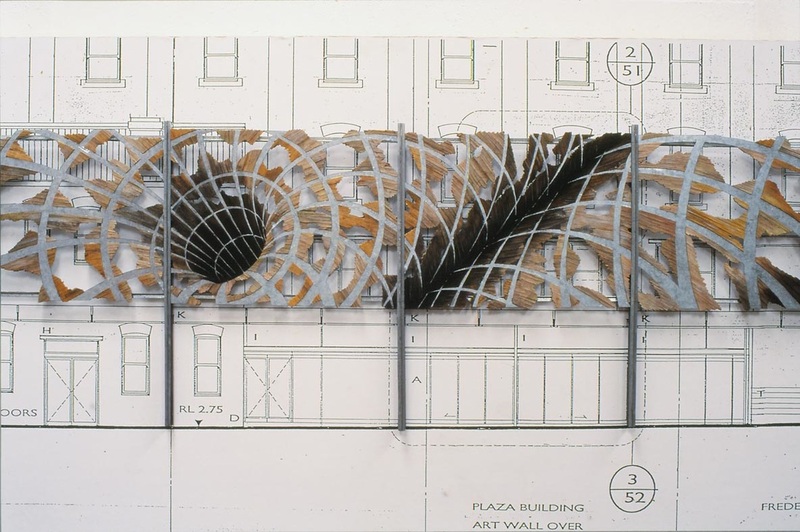 Spatial Dimension commissioned in 1998 for Wheeler Place by Newcastle City Council, New South Wales. 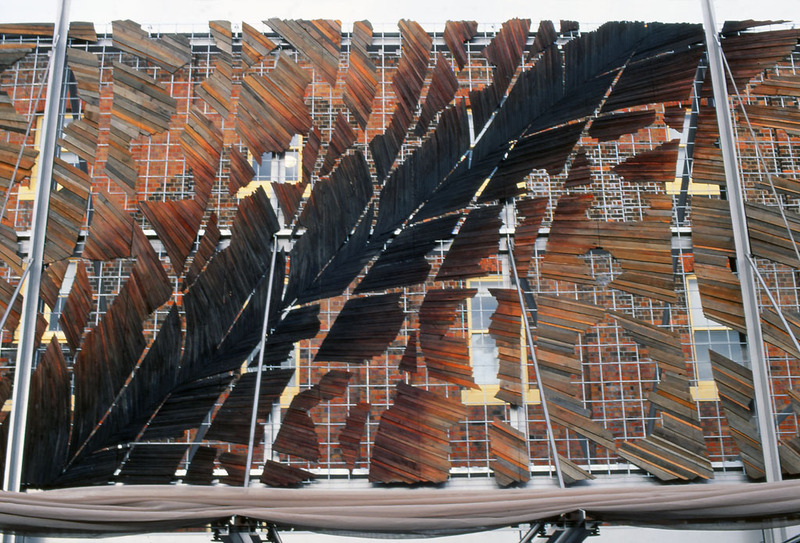 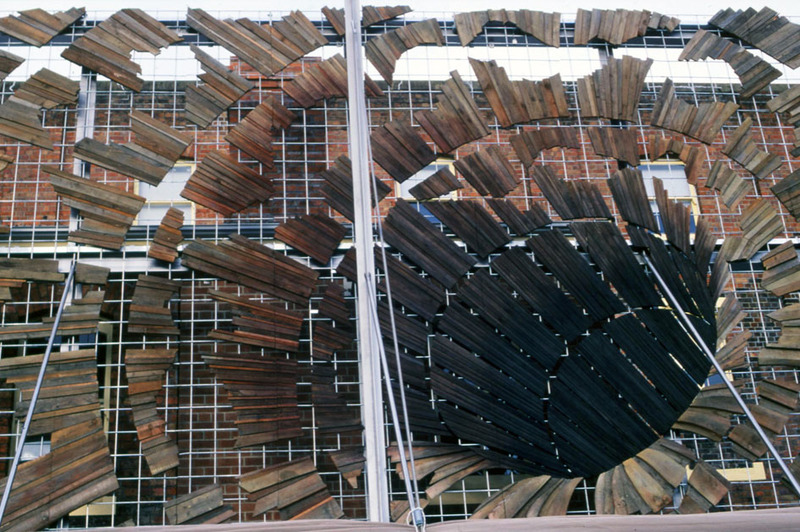 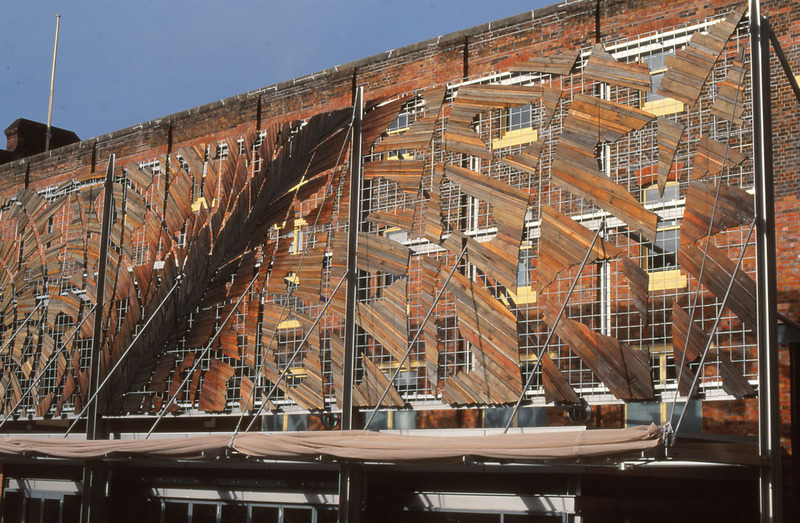 The work comprised of small pieces of timber mosaiced onto the steel grid frame of the Art Frame measures 30 meters long and 5.4 meters high. 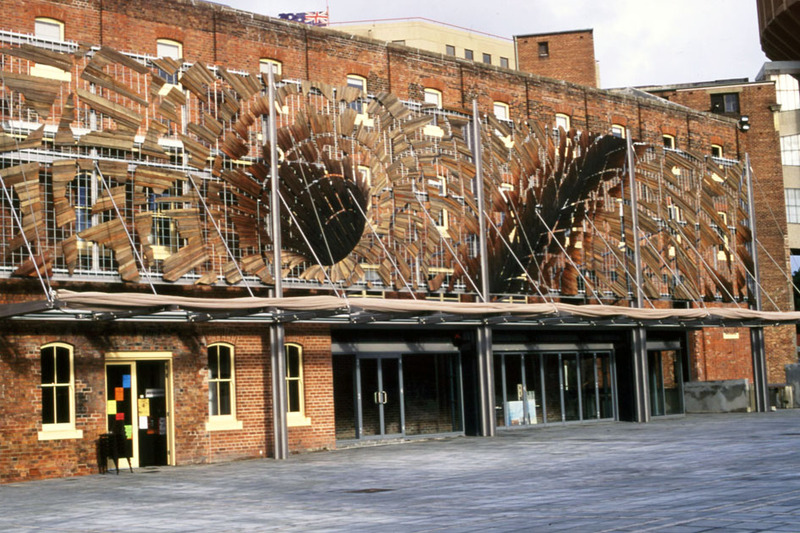 Originally commissioned for a life span of 5 years Spatial Dimension is still on display in the heart of Newcastle. 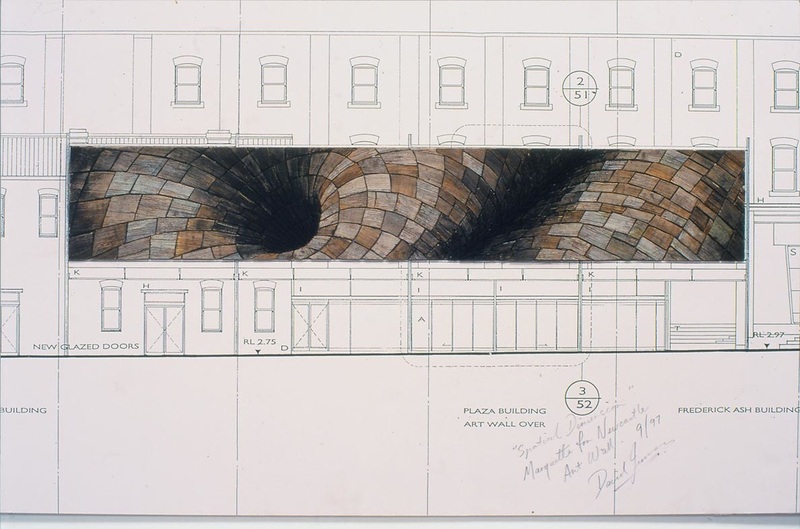 The work reads like a giant drawing creating an illusion of dimensional space. 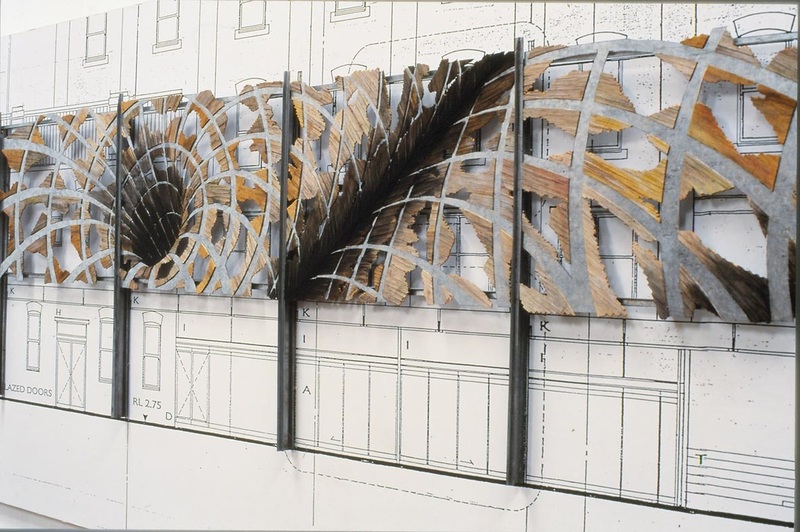 The ideas for the piece reflect on theories of multidimensional space time proposed by wormholes and field theory.